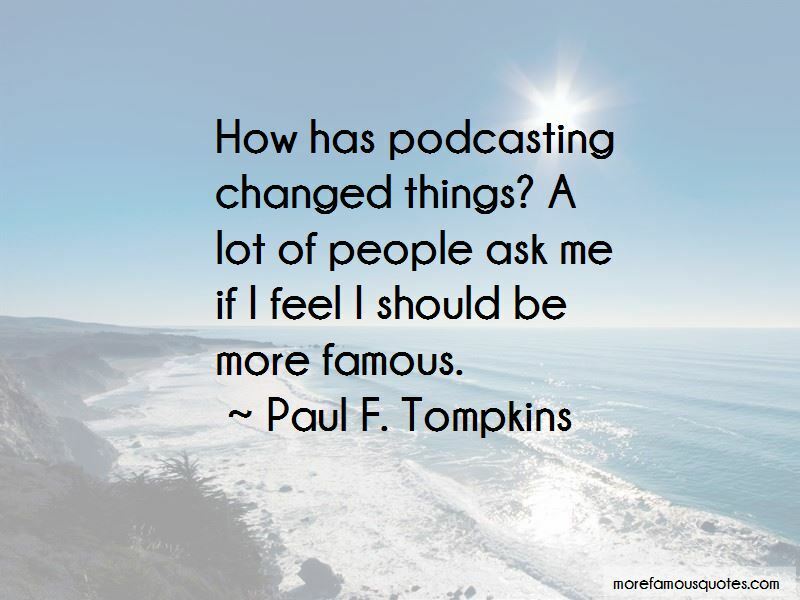 Enjoy the top 19 famous quotes, sayings and quotations by Paul F. Tompkins. When I was 16, I took the written driving test, just like everybody else did, and I passed it. Then the first time I was behind the wheel of a car, when I was a kid, it kind of freaked me out. I've always been a very anxious student of anything, and so not being able to process things quickly enough, feeling overwhelmed, I just got freaked out and so I just never tried again. I do think I'm terrific at giving advice. Although in our hearts we usually know what we should do. It's rare that you get in a situation in life where you don't know how to proceed. You know the thing you should do, but don't want to. I didn't want to have to call a cab if I went to the supermarket. So I eventually got a bike, just a beach cruiser, and I rode that thing all over town. I rode it everywhere. I rode it in the rain, I rode it as much as I possibly could. 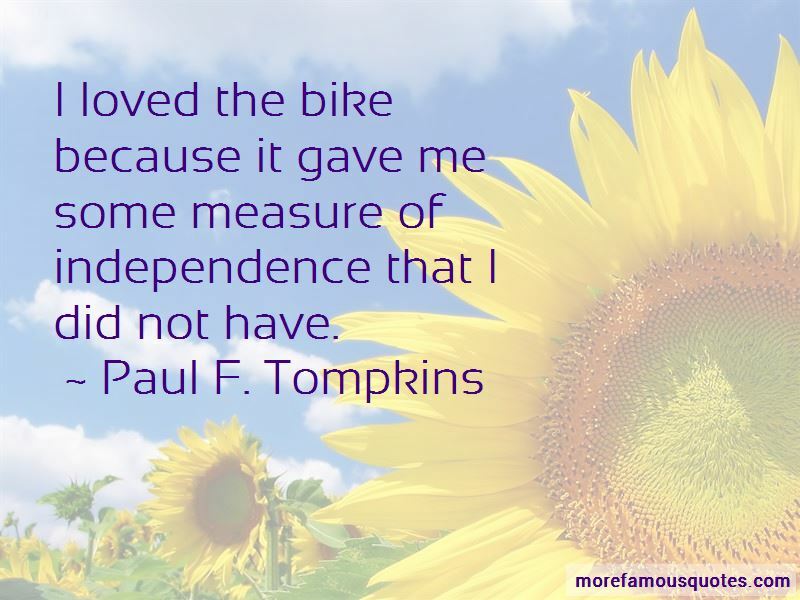 Anytime I could afford the independence of the bike, I used the bike. 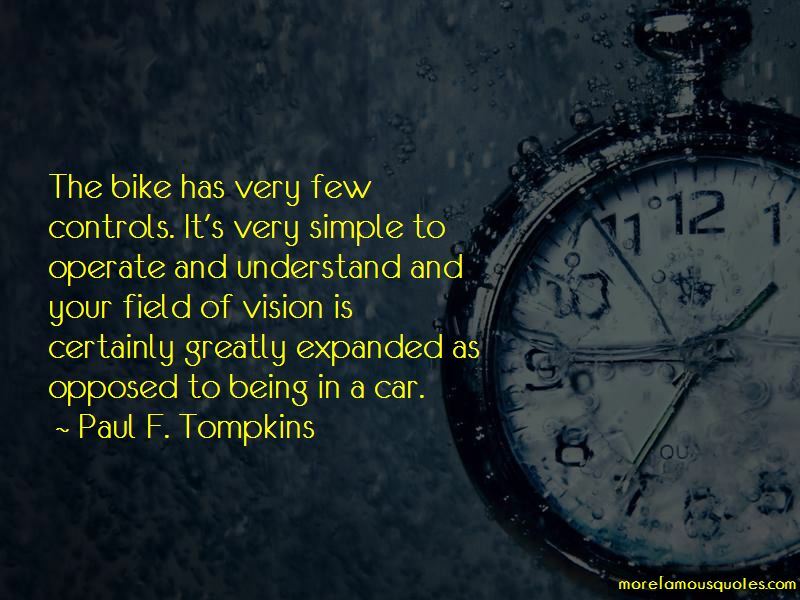 I loved the bike because it gave me some measure of independence that I did not have. I'm not a super adventurous eater and I try to make myself try things. Someone thought that I dropped out of Harvard. I am a college dropout, but I dropped out of Temple University in Philadelphia. I love a small dinner party - let's say six people, max, were everybody's having the same conversation. That's my favorite thing in the world. Want to see more pictures of Paul F. Tompkins quotes? Click on image of Paul F. Tompkins quotes to view full size.